Our eye-catching and informative leaflets will help you strike up conversations and get people excited about veganism and animal activism! With your passion and our literature, you're bound to succeed! 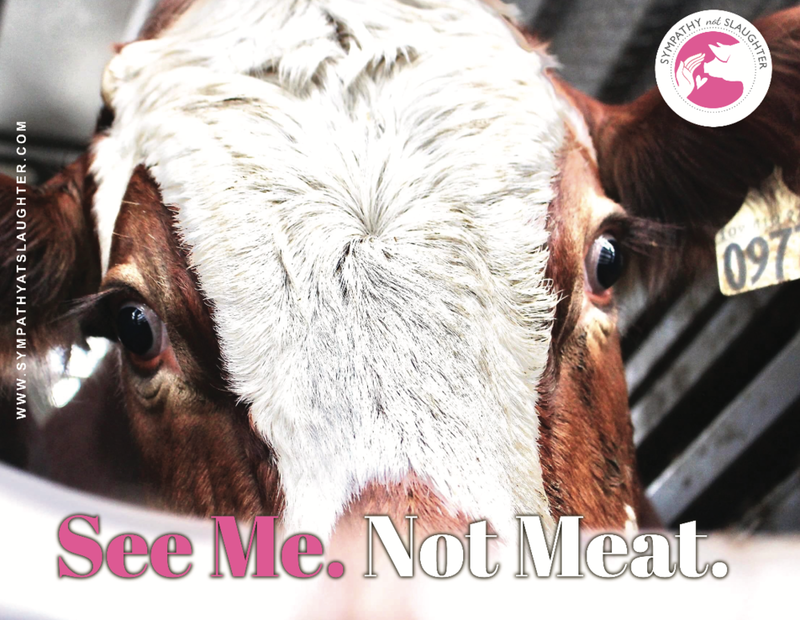 Our "See Me, Not Meat" posters have proven exceptionally powerful. Over 17,000 posters have been distributed worldwide; Exposing a rare truth many refuse to face. Opening eyes, saving lives. A special thank you to all of our participants. Drag and drop the images below to your desktop! Print and put these posters up! Download these designs to have your own car magnets printed! Whatever size you'd like!